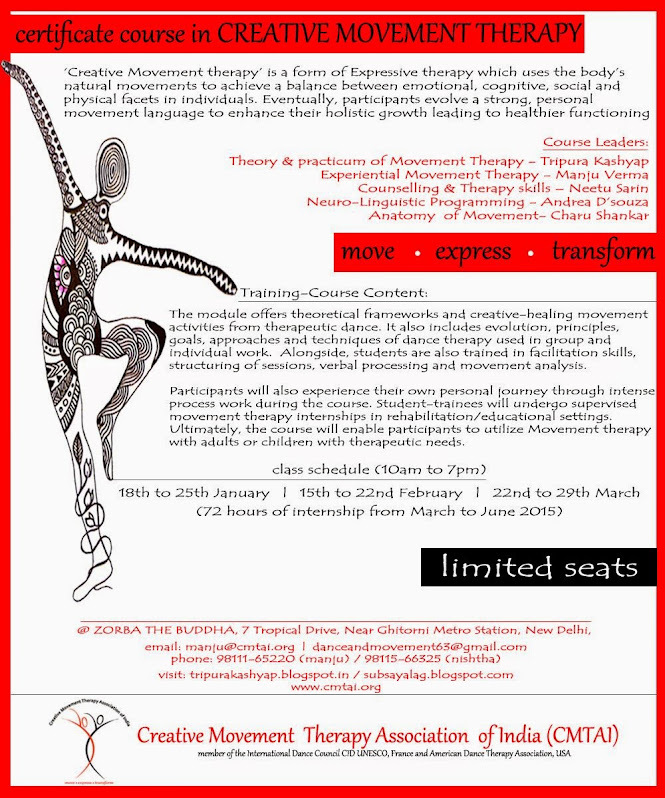 CMTAI presents Certificate Course in Movement Therapy. The course will enable participants to utilize movement therapy with children or children with therapeutic needs. Limited seats. For registration, contact at the details given.